A Florida couple enjoying life! We are a realtively young retired couple that enjoys travel during the summer months to get away from the Fla. heat and humidity. We have a Lance truck camper that we are currently traveling in and fulltime in our 5'r during the winter months. We love the outdoors and fishing. 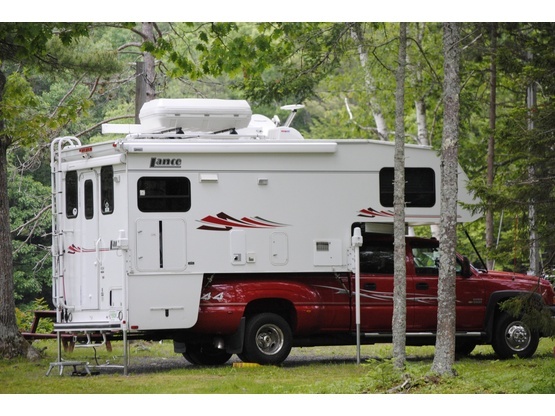 We can't provide a boondocking site in the RV resort we live in, but can help others find a nice spot where we live and would love to visit with travelers to our area in Fla.
Good at mechanic work and DW loves to cook. We love Idaho and still exploring for other great locations. We have a 2005 Lance 1181 with a slide truck camper on a 2005 Chevy 3500 that the DW has named the Love Shack.